Take a look at No. 1 Common lumber. It costs a lot less than the higher grades because the boards are smaller and they've got some knots and other defects. They also contain a lot of perfectly clear material. You just have to be willing to buy a little extra stock and spend some time working with it. It can be a challenge to figure out how to harvest the pieces you need, but it's also enjoyable and rewarding when you do. No. 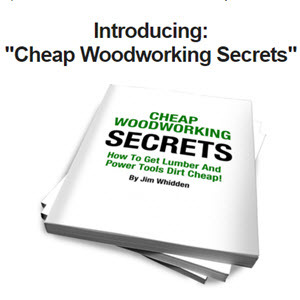 1 Common lumber is well suited to furniture making. It's an economical source for narrow stock, perfect for moldings, or stiles and rails for face frames and frame-and-panel structures like doors or cabinet sides. You'll also find boards in the common pile that are wide, with enough clear lengths between defects to make good-looking panels, cabinet sides or small tabletops.